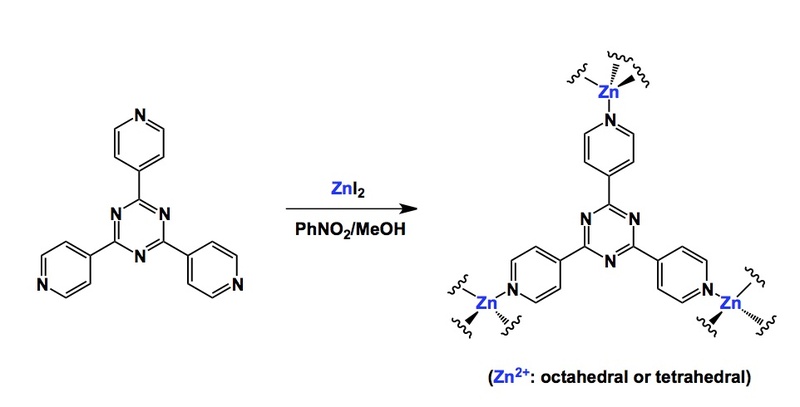 nol solution of zinc diiodide layered onto a nitrobenzene/methanol solution that contains 2,4,6-tri(4-pyridyl)-1,3,5-triazine. Single crystals of the networked material form at the boundary (I enjoyed looking at the images). The rest is no different from how one would soak a small molecule into a protein crystal.